Embryo implantation is a mutual interaction between blastocyst and uterus. Successful implantation is dependent on the cellular and molecular dialog between competent embryos and receptive uterus [151, 152]. Although many specific factors have been identified and characterized during embryo implantation, the molecular mechanism underlying embryo implantation still remains unknown. ROS have been implicated as a major cause of embryonic arrest, delayed and/or cell death . 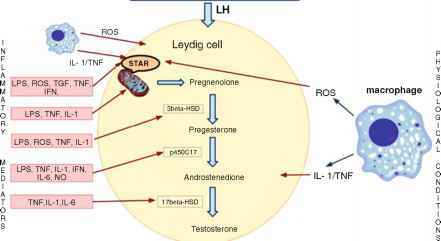 A study compared gene expression profiles of prereceptive (2 days after the LH surge) vs. receptive (7 days after the LH surge) endometria obtained from the same proven fertile woman in the same menstrual cycle. Endometrial biopsies were analyzed using a DNA chip containing approximately 12,000 genes. Approximately 211 regulated genes were found. Validation of array data was accomplished by mRNA quantification by real-time quantitative fluorescent PCR (Q-PCR) of three upregulated genes (glutathione peroxidase 3 [GPx-3], claudin-4, and solute carrier family 1 member 1 [SLC1A1]). Human claudin-4 peaked specifically during the implantation window, whereas GPx-3 and SLC1A1 displayed the highest expression in the late secretory phase. In situ hybridization experiments demonstrated that GPx-3 and SLC1A1 expression was restricted to glandular and luminal epithelial cells during the midluteal and late luteal phases. This important experiment highlights the fact that GPx-3 may not be associated with the earliest stages of implantation, but it takes over later in the process .